... the successful Applicant must, on occasion, be available as a back up over weekends or other week days. : This is a full-time position which will require you to work weekend shifts as needed. The largest category under which open Weekend jobs are listed is Retail Jobs, followed by Customer Services Jobs. The standard deviation of salaries for the results of this search is 151,495. 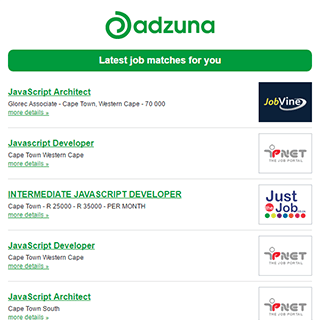 Get the latest Weekend Jobs in Sandton delivered straight to your inbox!